With Miami & the Florida Keys so close to home, there is no need to travel far for your tropical vacation. Drive or fly in, and within hours you'll be enjoying the sparkling waters of the Florida Keys. With bases in Miami Beach & Key West, you choose the departure point, sailing rout and length of stay. Whether for a week-long tropical island tour, a day sail with the family, or a week end getaway, we have the boat to accommodate your needs. Snorkeling, diving, fishing, kayaking, windsurfing, shopping, night life, romance, fun... something for everyone is awaiting in your own little paradise here at home know as the American Riviera. FLORIDA BAREBOAT CHARTERS - The ultimate in privacy & freedom, bareboat rentals are for groups having their own qualified skipper. Hiring a captain and or hostess/cook always remains an option. For a list of our available Bareboat yachts, please Click Here. The base is headquartered at the Miami Beach Marina on South Beach in the chic Art Deco district - minutes from the Miami airport. Take a stroll down nearby Ocean Drive where fashion models and movie stars can be found lounging on the beach or lingering at sidewalk cafes. Then step aboard your fully equipped yacht. You'll leave Miami's skyscrapers and cruise ship crowds in your wake, as the peaceful serenity of the Florida Keys and nearby Bahamas surrounds you. Hoist sail on the sparkling, protected waters of Biscayne Bay, or set your course for Bimini, just 50 miles away across the blue-green waters of the Gulfstream. 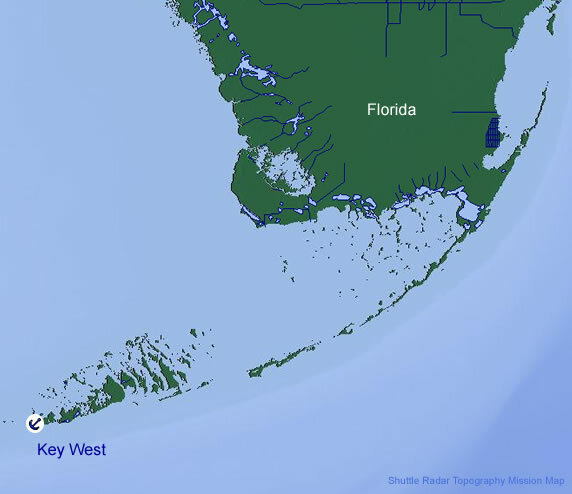 The Florida Keys begin in our backyard and extend for over 125 miles like a string of pearls against an emerald sea, known for its spectacular coral reefs, excellent marina facilities and quiet restful anchorages. Often called "America's Caribbean Islands" the Keys are sheltered by the only living coral reef in the U.S., offering splendid sailing conditions year round. Enjoy the delicious tropical climate, yet tempered by ocean breezes. At the "southernmost" end, you have the historic seafaring town of Key West, laid-back and friendly. Key Largo Harbor is the commercial maritime center for most of the boats and activities in and out of Pennekamp State Coral Reef Park. There are 2 marinas - Key Largo Harbor Marina and Marina Del Mar at the Holiday Inn. Several Dive Shop operators run regular tours from the Harbor. The channel is quite busy, so it is wise to have your VHF on ch 16 while you transit in and out of the canal system. Most boats announce their arrival or departure into the narrow entrance as well as any approach to the blind corner know as "Crash Corner". Vacation and learn to sail at the same time one a fun-filled week of cruising the Florida Keys or Bahamas under the friendly guidance of your own U.S. Coast Guard licensed sailing instructor. You'll learn the difference between a sheet and a halyard, practice basic navigation among a chain of glittering islands, review anchoring techniques as you stop mid-day to explore an undersea coral garden, master docking at a fine marina for dinner and dancing, and maybe even touch on celestial navigation as you stargaze from your boat, anchored in a moonlit cove. For more information, please ask one of our travel consultants for details. The Florida Keys can be considered the American Caribbean and features all the same amenities as other island destinations such as world class Florida Keys fishing, scuba diving and snorkeling, boating, sailing, kayaking and eco-tours. We invite you to visit each area individually and discover our tropical paradise on your next Florida Keys vacation. Key West is a very magical place. Key West is a great place to experience diving, or snorkel and view many species of fish and coral on the only coral reef in North America. The sun drenched hospitality of our island will charm you. It has already made more than one million people come back and visit each year. Your adventure will begin at the Miami Beach Marina. We can leave at once or you may opt to spend the first afternoon exploring the world-class shops and then dancing the night away in trendy South Beach, home to some of the hottest clubs in the country. Discover what the Upper Keys has to offer. A place to relax and have fun. Sailing from Marathon Key you will experience the many pleasures and sites of the Florida Keys. The unspoiled coral reefs of the Lower Keys have many sites where you can tie up to a mooring ball and snorkel or dive. Hawks Channel provides fantastic sailing, as there is protection from the ocean swells but still great wind. The Dry Tortugas were discovered by Ponce de Leon. Abundant sea turtles or "tortugas" provisioned his ships with fresh meat, but there was no fresh water. Hence the "Dry". Don’t overlook the magic Miami beach and Florida Keys have to offer. Considered the American Riviera, the area is overflowing with things to do - fine white sand beaches, spectacular shoreline, famous Art Deco architecture, decadent night life, shopping, restaurants, etc... everything you need to compliment your already perfect yachting vacation. Please ask our travel consultants for more information. Below you will find links to additional information we are certain you will find useful pertaining to your yacht charter vacation in Miami and Key West. 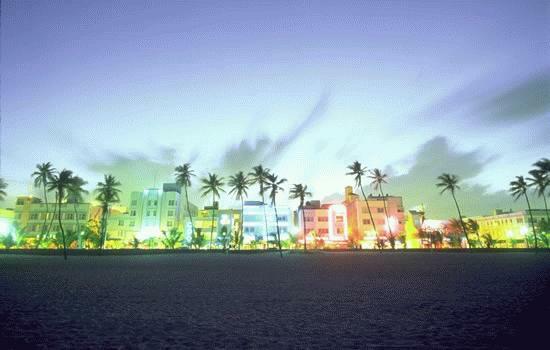 Miami Beach Visitors Guide: For useful tourism information on Miami Beach, its attractions and that of the surrounding areas.